JUST REDUCED and PRICED TO SELL!!! 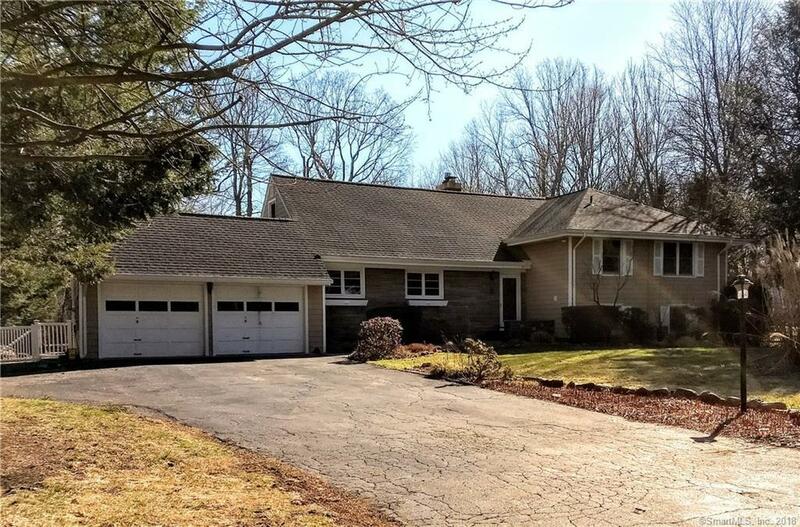 2,601 Sqft Well Maintained & Spacious Split, conveniently located in West Norwalk with views of the 5 Mile River. Entertain and relax in your large, level fenced in backyard w/ oversized deck, inground Gunite pool and beautiful spa (all added in 2007). Located at the end of a cul-de-sac and near all major shopping, restaurants, I95, Merritt Pkwy and the Darien and Rowayton Train Stations (all within 5 minutes away). Main level features tiled foyer, large living room w/ gas fireplace (2007), French doors (2007), formal Dining Room and Eat In Kitchen w/ quartz countertops and stainless steel appliances. 2nd Level has 3 bedrooms (all w/ hardwood floors) and 2 of the 3 with double closets. The oversized full bath on this floor was updated w/ double sinks, a whirlpool tub and separate tiled shower. Finished 3rd level bedroom with LARGE CEDAR CLOSET can also be used as a second family room. Lower level features a family room w/ tiled floor and sliders to a 3 Season Porch, 5th bedroom and 2nd Full Bath (Possible In-Law Suite). Some additional updates include New Furnace and Hot Water Booster (2015), Full Spray Foam Insulation (2013), New Roof w/ Rubber Weatherproofing and Vinylume Siding (2011). House is wired for a generator and has a full wireless security system. 2 Car garage w/ attached shed complete this home. Flood Insurance $288/year. *See Agent Remarks before showing. Being Sold "AS IS". Directions: Richards Avenue To Bonny Brook Rd. House At End Of Street On Left.